Keswick North Ontario is a real estate sub-market in Georgina, Ontario on the Toronto Real Estate Board. 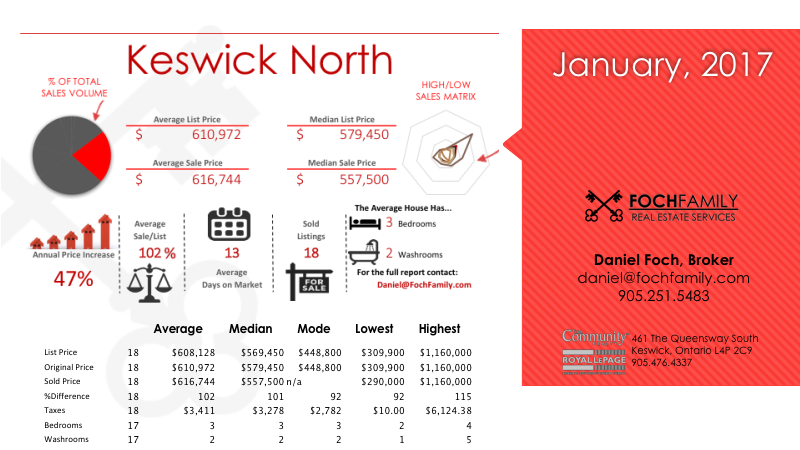 In Keswick North , real estate listings have an average list price of $608,128 , and an average sale price of $616,744 . 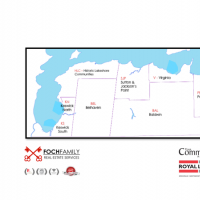 The average list to sale price ratio of homes for sale in Keswick North was 102 percent. Real estate taxes, on average, were $3,411 in Keswick NorthThe average time a Keswick North real estate listing spent on the market was 13 days. The highest sale price of a home in Keswick North was $309,900 and the lowest sale price of a home sold in Keswick North was $309,900 . The average size of a home in Keswick North includes 3 bedroomsand 2 washrooms. Kathy went above and beyond the call of duty, again. We would definitely recommend her to others based on the excellent service we received once again!